Russian sailors were once buried upon this hill. That’s why. Ground zero for the San Francisco high-rise revolt that began in the 1960s. Not coincidentally, also home to The Summit, The Royal Towers, Green Hill Tower, the so-called crookedest street in SF (the real crookedest street is in Potrero Hill), and the authentic inspiration for Armistead Maupin’s magical Barbary Lane. It’s a very San Francisco neighborhood, with tourist draws galore. (Hello, Hyde Street cable car, squiggly Lombard Street, sweet Ghirardelli Square, and magical Macondray Lane, the inspiration for Armistead Maupin’s Barbary Lane.) Stunning views abound, with vistas in every direction from the top of the hill. 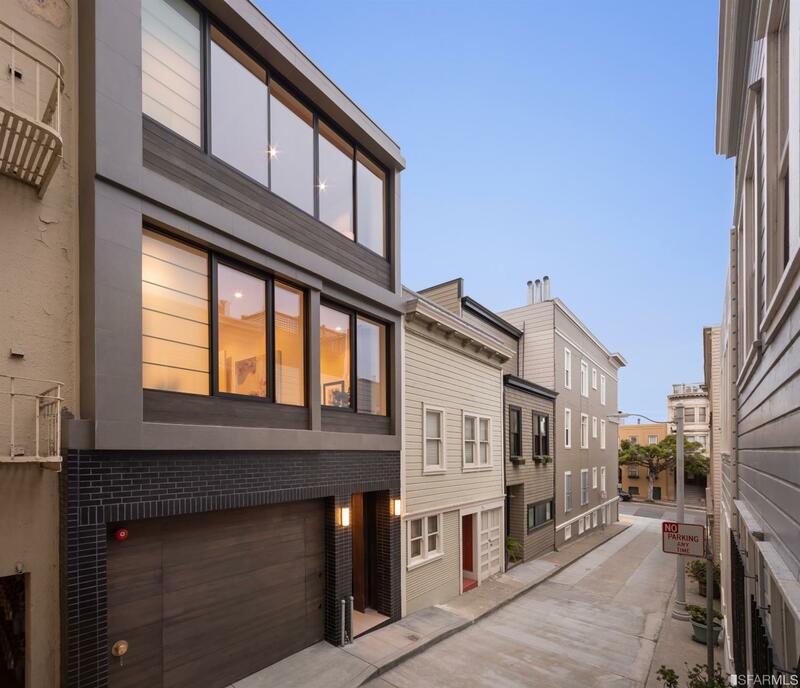 There are some single-family homes in Russian Hill, and many of them have eight-figure price tags. More common are condos, TICs, and a handful of stock co-ops. This is old-school San Francisco, with peaked-roof Victorians and stately Edwardians nestled up next to mid-century condos and stock co-ops. Notable mid-century developments include 999 Green, 1000 North Point, and 1750 Taylor. Join the tourists on the Hyde Street cable car, or hop on one of the buses that serve the neighborhood. When the Central Subway extension opens in 2021 (allegedly), the east side of Russian Hill will have access to a subway to Powell Street and south to the 4th & King Caltrain station. 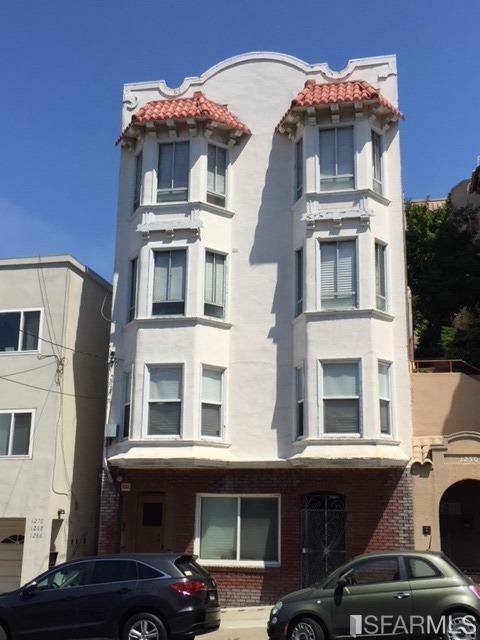 Rare 6-unit Russian Hill property consisting of 2 separate buildings. Front building has 4 units and the rear building has 2 units. Enclosed yard and common courtyard. Rear building has views. Named for a small Russian graveyard found at the top of the hill during the Gold Rush, Russian Hill kept the name but removed the graves. Russian Hill boasts some of the most spectacular Bay and bridge views in all of San Francisco, extending from the Bay Bridge to the Golden Gate Bridge and Marin County. World-famous Lombard Street claims to be the crookedest street in San Francisco, but the real winner of that title is actually in Potrero Hill. The Alice Marble tennis courts and Ina Coolbrith park are two neighborhood spots that offer an amazing opportunity to enjoy the view while you get your sport on. The famed “Tales of the City” series by Armistead Maupin was inspired by Macondray Lane on Russian Hill, and tourists regularly flock there to have their pictures taken. 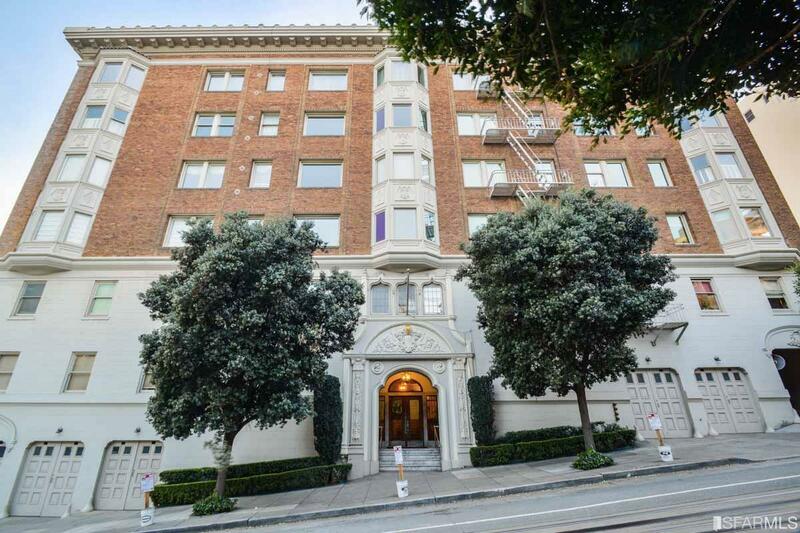 Russian Hill is also home to many upscale restaurants and great shopping opportunities on Hyde and Polk. The area is also home to the prestigious San Francisco Art Institute, a world-renowned school for art that is home to several Diego Rivera murals.